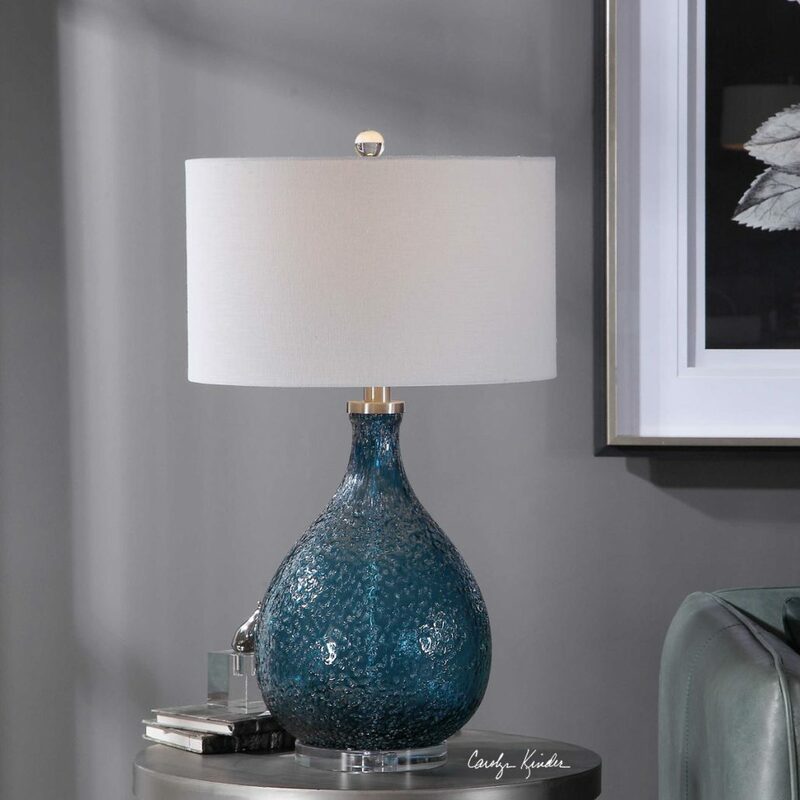 This table lamp has a heavily textured seeded glass base in bright cerulean blue with elegant crystal accents and brushed nickel details. The hardback drum shade is white linen fabric. Designed by Carolyn Kinder International. Available to trade professionals at Uttermost.com. Explore retail options for this product using Google Keywords Carolyn Kinder Eline Cerulean Blue Glass Lamp.